Became a focus of attention with his heretical style with “STEEPLE JACK” during his indie years. Being praised for his vocal skills, began singing anime songs. In 1997, his song, “Yushaou Tanjo!”, the theme song for TV Asahi network anime “The King of Braves GaoGaiGar”, was praised as “an orthodox robot anime song” which had become a rare breed at the time. Consequently, the song has etched its name in history to become a masterpiece anime song. He has earned the respect of many musicians for his style of maintaining his rock vocalist style while singing anime songs. In 2000, participated in the founding of JAM Project and continues to support the project with Hironobu Kageyama. In 2003, appointed in charge of TV Asahi network Super Sentai Series “Bakuryu Sentai Abaranger”. Broke the record in sales for a sentai (squadron) animation song. The song became a foundation for the “Sentai song” boom that followed. In 2004, held his first overseas show in Sao Paulo, Brazil, and has continued to go on strong overseas since then. In 2007, held a joint live concert in Taiwan with Hironobu Kageyama. With the tickets selling out, more than 2,000 people attended the event. Has released five original albums so far, the newest being “EXTREME V MACHINE”. 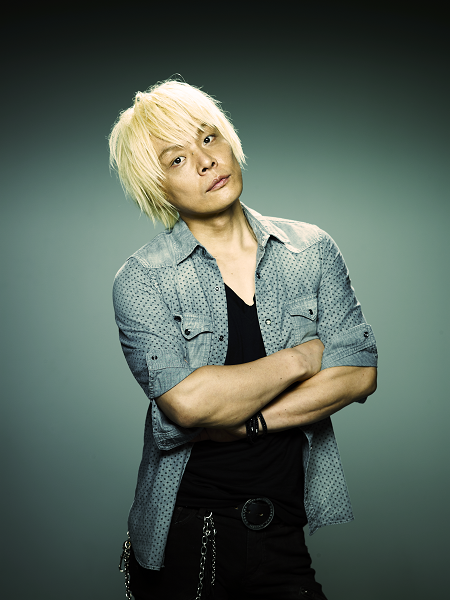 In 2013, as a member of the super group of the anison world, “JAM PROJECT”, he would be costarring with world-renowned artists from around the globe in the Thai rock festival “SONIC BANG” (http://www.sonicbang.net/), which will be held on August 24th.